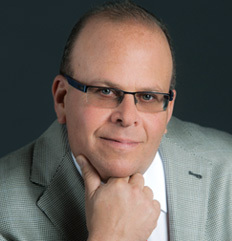 For more than 20 years, Pennsylvania medical malpractice attorney Jon Ostroff has been fighting for the children and adults of Pennsylvania who have been hurt by medical malpractice. Jon understands that you, or your loved one, sought medical help to improve or maintain your health – not to get hurt, or worse killed. In Jon’s experience the doctors, hospitals, or drug companies who made the medical mistakes won’t admit it. Instead they will compound the problem by fighting against your recovery. Jon won’t stand for it! He will thoroughly investigate the cause of your injury, or your loved one’s wrongful death. Pennsylvania clients will only reimburse Jon for his investigation if they recover damages. Jon has recovered millions of dollars in PA medical malpractice lawsuits for victims in big cities like Erie, Pittsburgh, and Philadelphia and in the small towns in between. He has also recovered millions of dollars as a Pennsylvania car accident lawyer for more than 20,000 Pennsylvanians. He has the experience necessary to make the insurance company settle for fair and equitable damages once the person or entity who made the medical mistake admits it. He knows how important your recovery is to you and to your family and he will use his experience to fight for the very best recovery possible. The law firm of Anapol Schwartz has a long history of successfully representing victims of Pennsylvania medical malpractice. 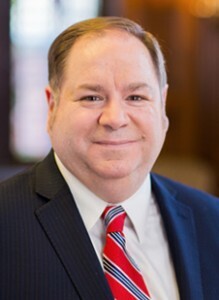 Attorney Stephen J. Pokiniewski, Jr. is an experienced Pennsylvania medical malpractice lawyer who isn’t afraid to take on the big Health Maintenance Organizations or the experienced doctor. Stephen has recovered several multimillion dollar verdicts and negotiated multimillion dollar settlements on behalf of his PA medical malpractice clients. Jon and Stephen are maintaining this blog to provide the people of Pennsylvania with news, information, and analysis about medical malpractice. If you’ve been hurt, or if you’ve lost a loved one, due to a medical mistake then please contact Jon or Stephen to discuss your individual case.